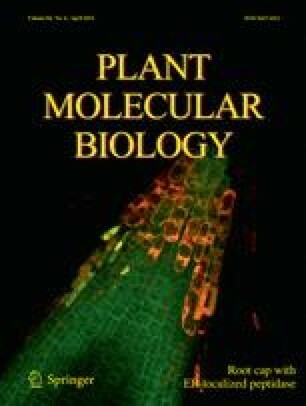 A novel Rab GTPase protein in Arabidopsis thaliana, CPRabA5e (CP = chloroplast localized) is located in chloroplasts and has a role in transport. Transient expression of CPRabA5e:EGFP fusion protein in tobacco (Nicotiana tabacum) leaves, and immunoblotting using Arabidopsis showed localization of CPRabA5e in chloroplasts (stroma and thylakoids). Ypt31/32 in the yeast Saccharomyces cerevisiae are involved in regulating vesicle transport, and CPRabA5e a close homolog of Ypt31/32, restores the growth of the ypt31Δ ypt32 ts mutant at 37 °C in yeast complementation. Knockout mutants of CPRabA5e displayed delayed seed germination and growth arrest during oxidative stress. Ultrastructural studies revealed that after preincubation at 4 °C mutant chloroplasts contained larger plastoglobules, lower grana, and more vesicles close to the envelopes compared to wild type, and vesicle formation being enhanced under oxidative stress. This indicated altered thylakoid development and organization of the mutants. A yeast-two-hybrid screen with CPRabA5e as bait revealed 13 interacting partner proteins, mainly located in thylakoids and plastoglobules. These proteins are known or predicted to be involved in development, stress responses, and photosynthesis related processes, consistent with the stress phenotypes observed. The results observed suggest a role of CPRabA5e in transport to and from thylakoids, similar to cytosolic Rab proteins involved in vesicle transport. The online version of this article (doi: 10.1007/s11103-013-0161-x) contains supplementary material, which is available to authorized users. Sazzad Karim and Mohamed Alezzawi have contributed equally to this study. For the yeast arf1Δ arf2Δ and ypt31Δ ypt32 ts double mutants, we thank Prof Akihiko Nakano (RIKEN, Japan), and Prof Nava Segev (The University of Illinois at Chicago, USA), respectively. The authors are grateful to Victoria Gyzander for technical assistance (University of Gothenburg), and Csilla Gergely (Eötvös University) for skilful assistance with electron microscopic sample preparation. For providing antibodies we thank Prof Adrian Clarke (Lhcb2 and Rubisco) and Prof Felix Kessler (Toc75). This work was supported by Carl Tryggers Foundation (to H.A. ), Olle Engkvist Byggmästare Foundation (to H.A. ), the Royal Society of Arts and Sciences in Gothenburg (to S.K. ), the Swedish Research Council (to H.A. ), and Ph.D. student fellowships from the University of Malakand (to N.Z.) and Libyan Higher Education (to M.A. ).